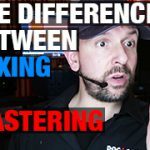 Achieving loud mixes is the result of taking different actions during the mixing and mastering process. 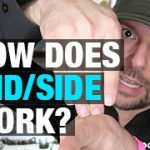 With this video and article we explain what loudness is and how to use loudness to obtain an impactful mix. Loudness is how loud your track can get before you have to reach for the volume knob. When your track is played alongside another track it is important that it competes. At the same time “Loudness” is a trade-off. If you want more dynamic movement in your music you will not be able to be as loud in all parts of the song. Loudness starts with good quality recording materials. Make sure you have – 1) A good instrument, 2) A good player, 3) A good microphone, 4) A good mic pre-amplifier 5) A good room. Loudness is not something that you can achieve in one move. It is a result of all steps of production being done correctly. 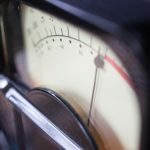 Don’t slam the compressor or limiter at the end of the mix, compress little by little at each stage of your mix. For example, with a kick drum you might want to compress a little bit on the channel, again on the drum bus, and one last time on mix bus or mastering chain. 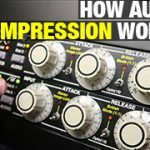 We describe and demonstrate these techniques in great detail on our video course The Official Guide To Mixing. Find out more about it here. The human ear is more sensitive to mid frequencies. If you want to increase the sensation of loudness of the kick drum, push the mid frequency rather than low end. The mid range is what will mostly determine how loud your mix is. You don’t need low end for all instruments. Cut out below 80Hz. This will not only remove unwanted noise, but creates some space for the kick drum and the bass. You have to decide whether your kick drum or bass is the most important part of the low end. Making clear decisions on what instrument dominates the low end, so that they don’t fight over the same frequency area. Loudness is also how aggressive a piece of music sounds. Using saturation is a great way to add harmonic content and really help a sound cut through the mix. A limiter is the last step in your master chain, and will determine the loudness level of your track. Don’t over do it! Finding a good balance between dynamics and loudness is the key to creating impact in your mix. How Can I make My Mixes Louder? If you’re still struggling to your music to sound great you can have the Doctor Mix team to mix it professionally for you. Please feel free to contact us here or send us your music via Wetransfer to info at doctor mix dot com and we’ll give you our feedback.